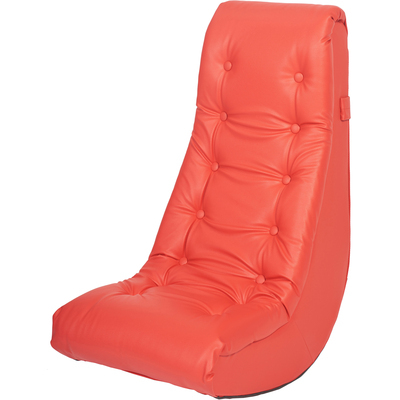 Rock Safely Back And Forth As You Read A Story Or Play Your Favorite Game With This Soft Rocker. It Is The Perfect Seating Solution For Children And Adults In A Classroom, Daycare Or Home. The Lightweight Chair Is Finished With An Attractive Tufting To Increase Style And Comfort. Use On Floors Only. Rocker Interior Is Made With Wood For Stability And Foam For Comfort. Vinyl Exterior Is Easy To Clean. It Is Recommended For Children From 3 Years Old And Up..
Rock Safely Back And Forth As You Read A Story Or Play Your Favorite Game With This Soft Rocker. It Is The Perfect Seating Solution For Children And Adults In A Classroom, Daycare Or Home. The Lightweight Chair Is Finished With An Attractive Tufting To Increase Style And Comfort. Use On Floors Only. Rocker Interior Is Made With Wood For Stability And Foam For Comfort. Vinyl Exterior Is Easy To Clean. It Is Recommended For Children From 3 Years Old And Up.